You can optimize your email deliverability by ensuring that your email headers are set up correctly. If your SPF, DKIM, and DMARC records are not configured properly, your messages may get stuck in your recipients' spam filters, or may never be delivered in the first place! Open Mixmax, click Settings in the sidebar. and click Email Diagnostic. Alternatively, click here. You should see green check marks indicating that you are set up properly. If you do not, continue below to learn how to improve your email deliverability. Your DNS record translates your web address (like www.company.com) into an IP address. You may need to update your DNS record. Here are some example DNS configurations from Google. The SPF record specifies which mail servers are permitted to send emails on behalf of your email domain. This prevents spammers from sending emails that pretend to be from your domain. If your SPF records are not set up properly, your emails may not be accepted by your recipient's mail server (resulting in a bounceback email), or may get caught in your recipient's spam filters. Here's how to Configure SPF records to work with Google Apps, from the Google Apps Admin Help site. You can set it up yourself or ask someone on your IT team to help. If your SPF record is not set up correctly, chances are everyone in your email domain is experiencing the same issue. DKIM is a digital signature that you can add to your outgoing mail. It encrypts your email header and enables email servers that receive your message to verify that the message is really coming from your email domain. Here's how to generate the domain key for DKIM authentication, from the Google Apps Admin Help site. DMARC is a protocol that uses SPF and DKIM to determine whether an email message is authentic. 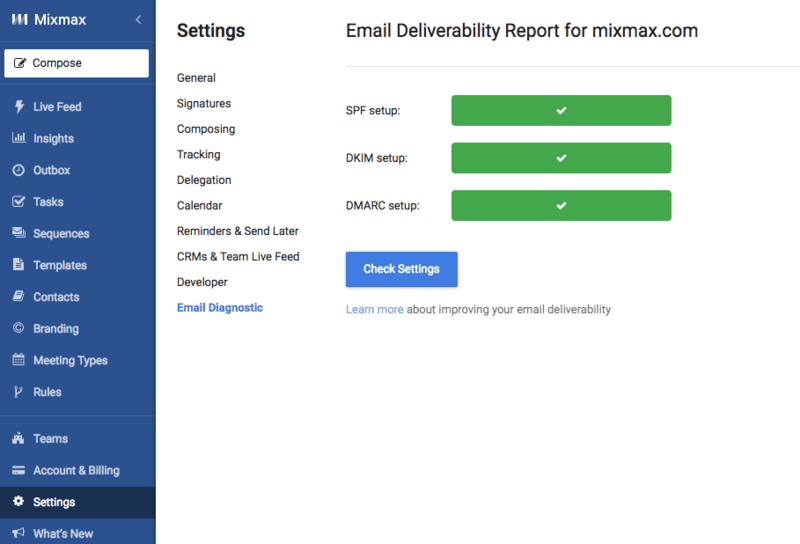 Adding a DMARC record will improve the deliverability of your email. Here's how to add a DMARC record, from the Google Apps Admin Help site.